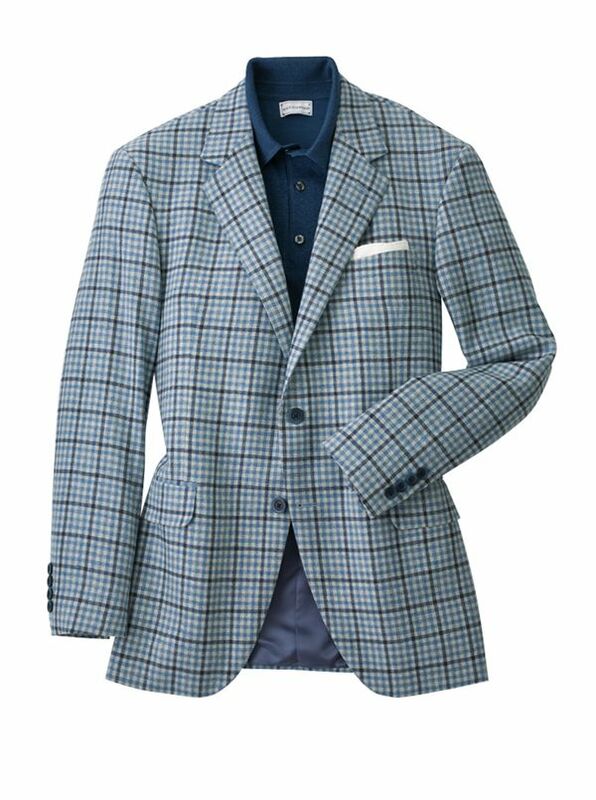 'Thomas Check Sport Jacket offers distinctive grey/blue checks embellished with a navy windowpane. Tailored in Canada of 95% wool/5% cashmere woven in Italy. 2-button, slightly trimmer model with full lining, side vents.